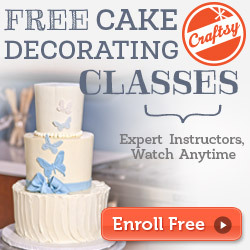 You are here: Home / Wedding Cakes / Tiers of Joy! Vintage Inspired Wedding Cakes! Tiers of Joy! Vintage Inspired Wedding Cakes! Looking for some sweet inspiration? 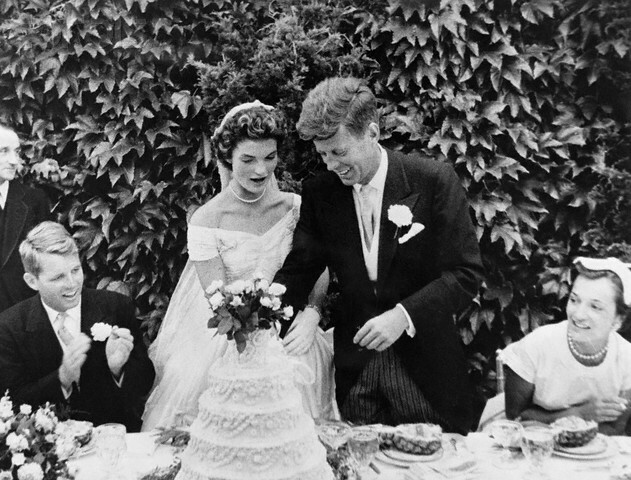 Your wedding cake is one of the most important accessories to your big day, just as important as the dress! Make sure your cake matches your personality and vintage inspiration. Who doesn’t like Cake shopping?! It can be such a fun experience (especially the tasting part! ), been scouring the internet for my favorite vintage inspired cakes…feast your eyes on some of my favorites! Yum Yum! Noteworthy Tips! – Scroll all the way down under cake pics for my definitions on “cake terms! 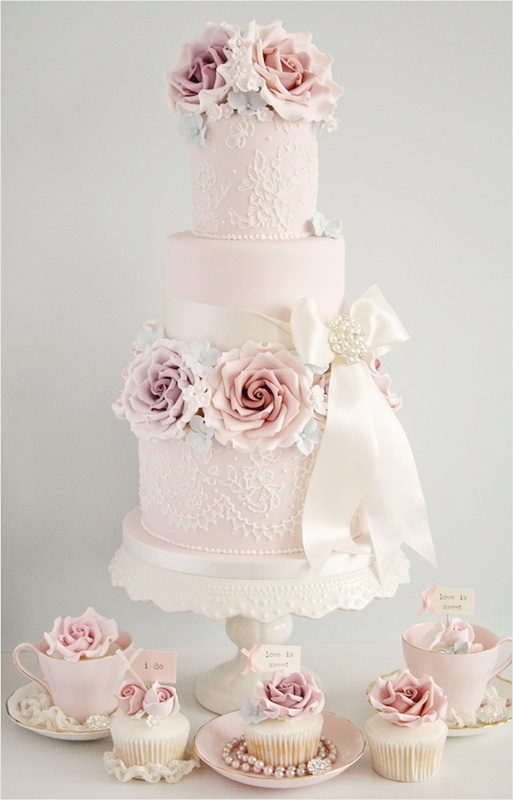 Check out this lovely English Shabby Chic cake by Nevie Pie Cakes in Hertfordshire, UK! I can’t get enough of shabby chic and this is gorgeous!! 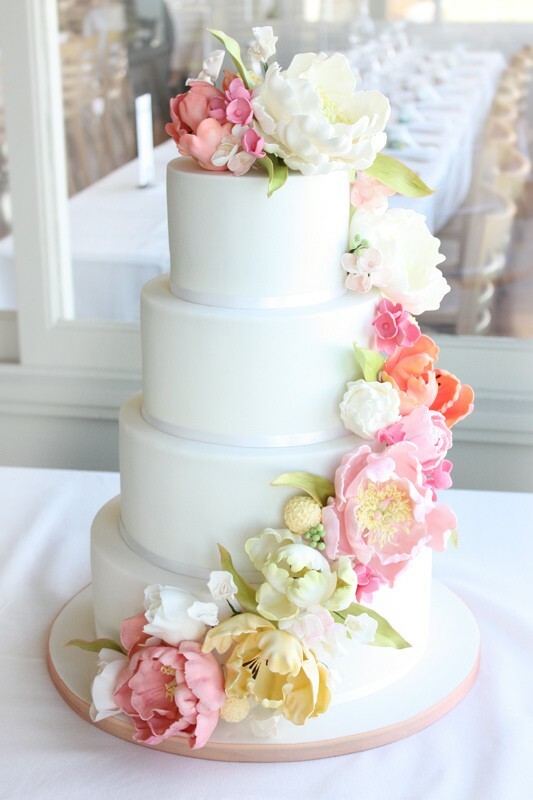 Simple, chic retro cake from Classic Cakes in Kansas City, MO! Lovely! Love the pops of blue! Photographed by Mirelle Carmichael, gorgeous!! Perfectly rustic and Shabby Chic! Sorry, don’t have baker info! Erica Obrien Hamden, CT with this FABULOUS creation! 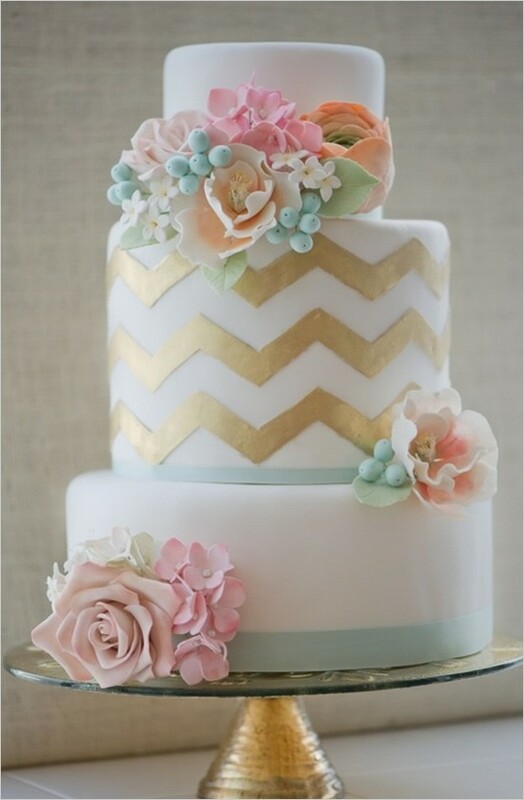 Just love the gold zigzags! So much fun color! 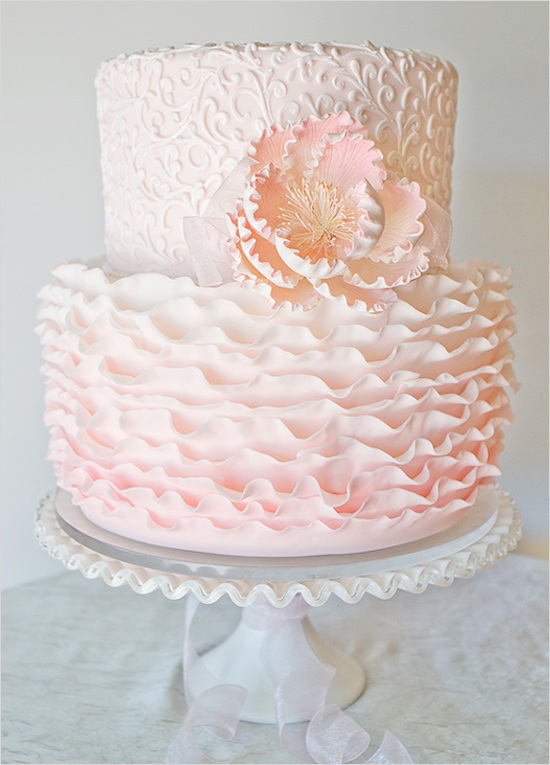 Erica Obrien Hamden, CT once again…this time she created this spectacular shabby chic patten cake. Love this! My daughter’s crib set is similar! Adore.. 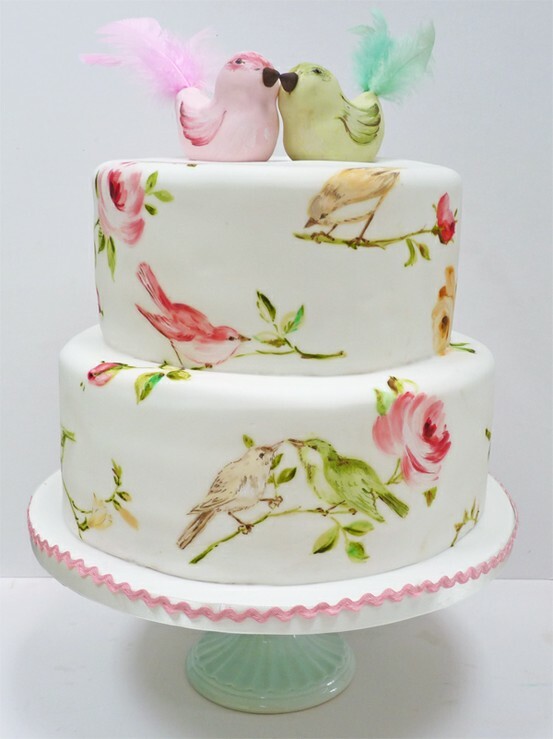 Shabby Chic bird cake from Amelie’s house ! Beautiful & so so unique!!! 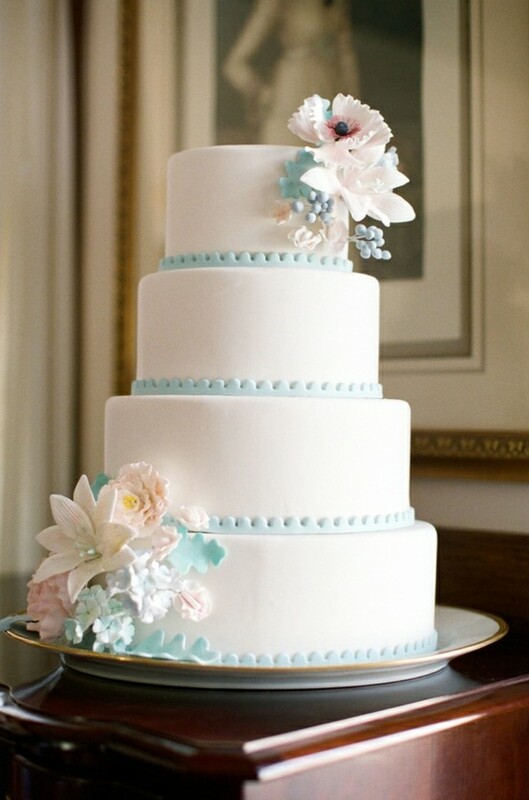 This floral cake I found on Pinterest was just so gorgeous I had to post..not sure the baker though! Amazing bespoke vintage inspired cake from Cotton and Crumbs! 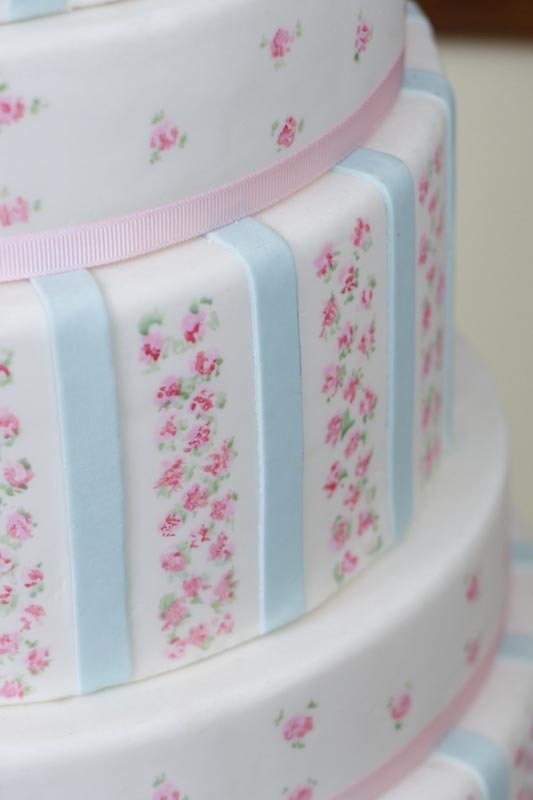 Such a pretty cake, so delicate, girly & old fashioned! What’s in a name? Positively everything according to confectioners around the world! Here is what those fancy terms actually mean! Buttercream – A rich creamy mixture of butter, eggs and sugar..used both as a filling and frosting. Dacquoise – A paste made with layers of almond, hazelnut meringue and whipped cream. Ganache – A smooth mixture typically made from chocolate and heavy cream. Flavors can be enhanced as well! Genoise – An Italian sponge-type cake that is the basis for any layer cakes. Gum Paste – An edible dough-like paste that can be used for modeling ribbons, flowers, figures and other decorations. Poured Fondant – A soft, pliable paste made from sugar syrup that is used to fill. Praline – Caramelized almonds, hazelnut used as a flavoring, filling and decoration. Pulled Sugar – A taffy-like sugar that is formed into various shapes like ribbons, fruits or flowers…to decorate cakes. Rolled Fondant – A popular icing with matte porcelain-like finish that is rolled out like dough and draped over the cake. Royal Icing – A rock-hard sugar used for trimming and decorations. Spun Sugar – Also known as Angel Hair. Pulled strands of caramelized sugar for decorative nests, bows etc. Hi Laura! Sorry for the late response! Did you mean the little cupcake toppers on the bottom pic that say words? Let me know specifically what you are looking for and I will do my best to help you find it and I will research! Let me know.. thanks! I found these very similar toothpick flags on etsy! If you do a search there are loads more! Hope this helps! Hi, just wanted to mention, I enjoyed this article. It was practical. Thanks so much! Look out for more posts soon! 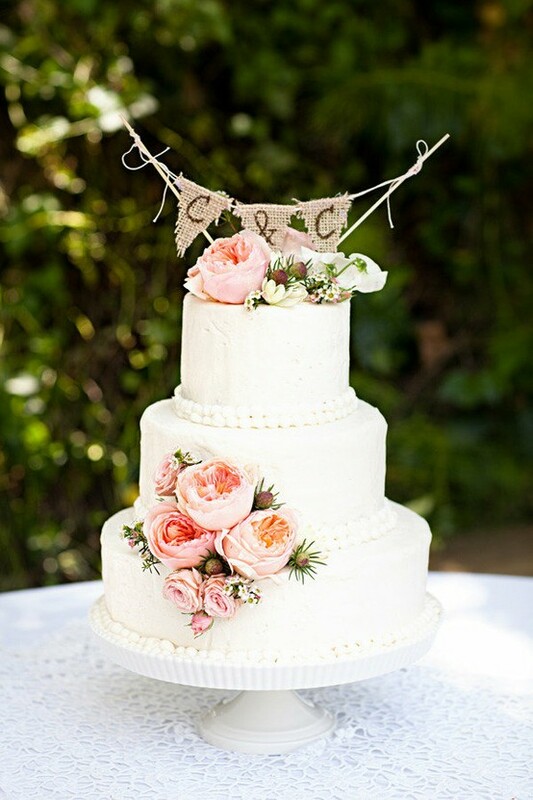 Can you please let me know where I can find someone or somewhere to purchase a shabby chic cake like the one on the picture??? Thanks for your question. Where are you located? 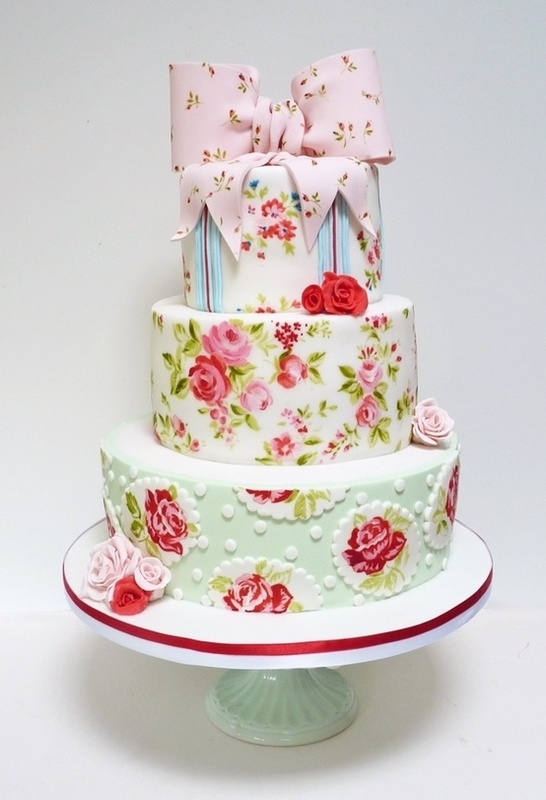 The designer/baker of this cake is located in Hertfordshire in the UK & called Nevi Cakes and Pies. Let me know where you live or where you will be getting married and I am happy to help you research! :-). If I were you I would take the photo into a good cake designer and tell them the is the design you would like! Let me know and I can help you try and figure it out. Take Care! Any more questions feel free to ask away! Visit Kirstin's profile on Pinterest. The royal wedding of 2018 – What we know! 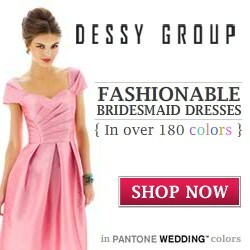 Jenny Peckham launches exclusive bridesmaid dress line with Dessy.com. Stella and Dot Special Occasion and Bridal Jewelry. Make a statement and stay on budget! 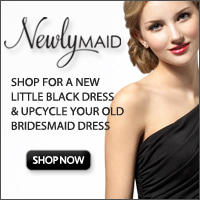 Sugar and Spice – Pretty flowergirl dresses to die for! Revolutionary Cleanse on 21 Day Fix Program by Autumn Calabrese – Lose Weight and Get in Shape for your Wedding day! Nutralife Garcinia Cambogia on 21 Day Fix Program by Autumn Calabrese – Lose Weight and Get in Shape for your Wedding day! kirstin on Oversized blooms! How using a very large hair flower fascinator can update your bohemian wedding look! kirstin on Gorgeous wedding from Heather Elizabeth Photography..introducing Sean and Susannah!